No one has ever said the tax code was an easy read. Benefiting from tax credits for metal roofing is a typical example, because you had to have done more than simply install an energy-efficient metal roof in 2015. You needed to meet specific criteria. The good news is these tax benefits for metal roofing apply until the end of 2016, so you can always consider efficient roofs this year if you missed out last year. Any qualified energy-efficient metal roofing installed from January 1, 2011 through December 31, 2016 is eligible for the lifetime energy credit. This means you should inspect your paperwork on a 2015 installation, or make a point of considering the investment in metal efficient roofing for 2016. A good place to find products meeting the energy-efficient guidelines is at the federal site, Energy Star, where you can search for metal efficient roofs (and asphalt efficient roofs, too). The metal roof material must have “appropriate pigmented coatings” that act as reflective roofs. This is ideal for our south Florida climate; Miami’s near-tropical sun puts a major load on your central air conditioning, so metal efficient roofs can cut down on your energy bill and deliver a nice tax benefit, too. Get a Manufacturer’s Certification Statement for the metal roofing you select; it must state on it that the product meets the requirements for the tax credit. You may have to do a little research to ensure the metal roof product you select is eligible for the tax credit. You can ask your local roofing contractor, but the final responsibility for claiming the credit is yours, so take your time to ensure you have a product that meets the IRS standards. When completing the 1040 tax return for 2015 (or next year, completing it for a 2016 installation), be sure to complete IRS Form 5695, Residential Energy Credits, which you can obtain online. The form comes with complete directions, and you must have that Manufacturer’s Certification Statement when filing. 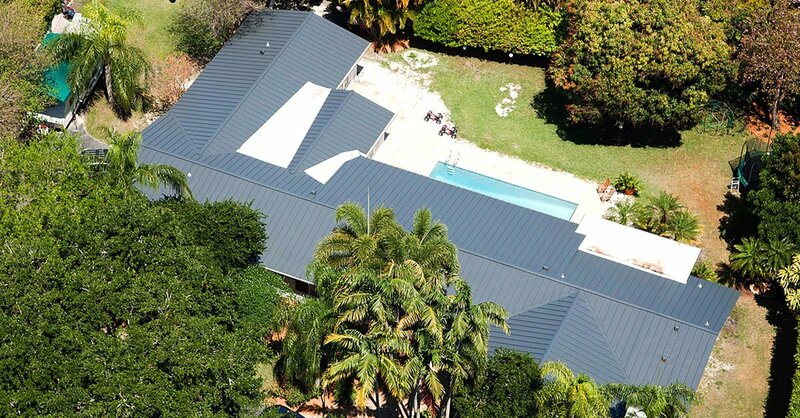 For guidance on energy-efficient, tax-beneficial metal roof products for your Miami-area home, contact A-1 Property Services today.